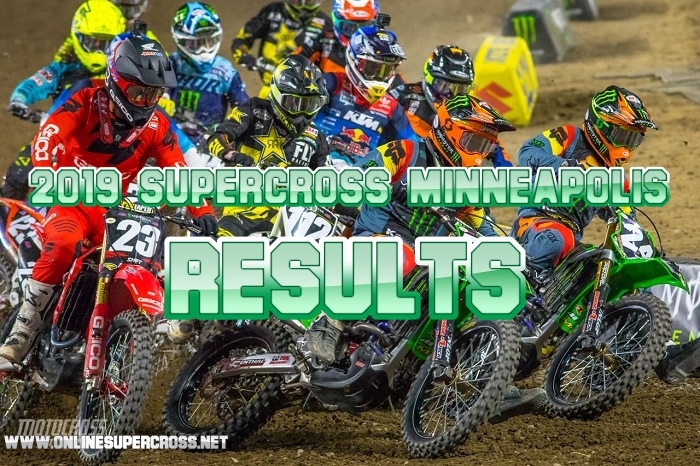 The 2019 Monster Energy Supercross Minneapolis 450 main event was won Cooper Webb. This will be the third main event race, which was won Cooper Webb. Ken Roczen completed the race second and Marvin Musquin finished third. The top four riders have listed in championship standing and only two have tied. Roczen has 125, Cooper Webb has 124 and Marvin Musquin and Eli Tomac are both tied with 123 points. The 250 Supercross Minneapolis main event race has won Austin Forkner, Jordon Smith finished 2nd and Justin Cooper secure the third position.